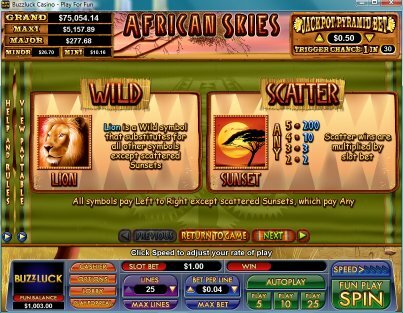 Overview: An exciting adventure awaits as you voyage into stunning wilderness of the African Skies safari! Trigger the Lion or Sunset feature and you will be awarded 10 free games with prizes tripled, or 15 free games with prizes doubled! 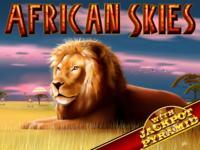 African Skies also showcases 2 massive bonus features. 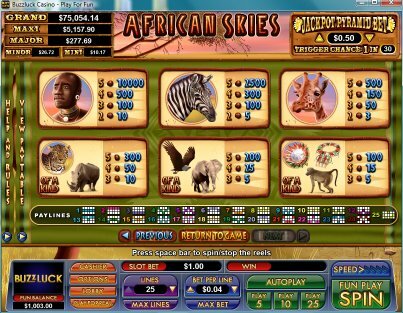 The unique Win-Win system ensures that even the smallest feature wins will be transformed into a worthy prize, leaving behind the days of frustratingly unrewarding free games. 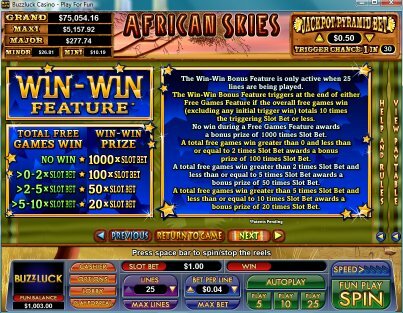 A no win during the Free Games Feature will award a staggering 1000 times slot bet consolation prize! 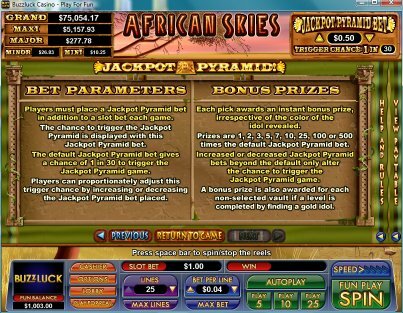 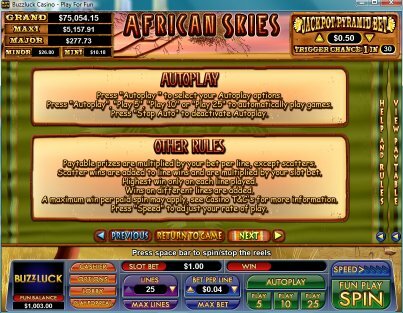 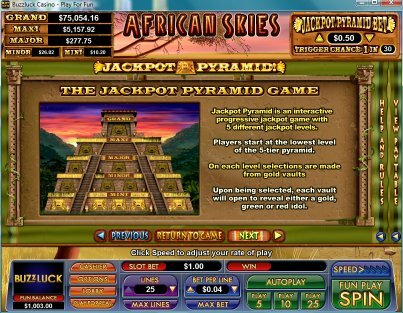 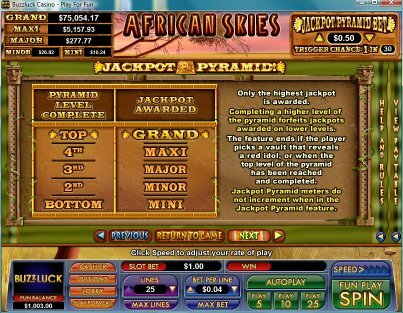 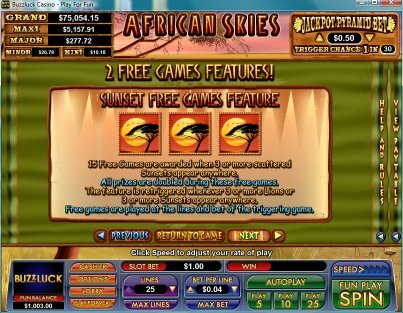 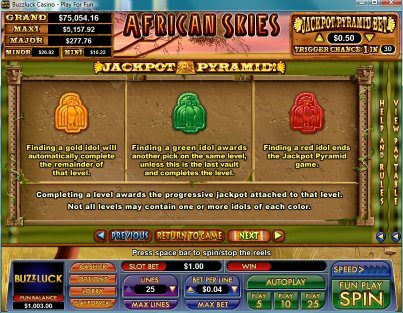 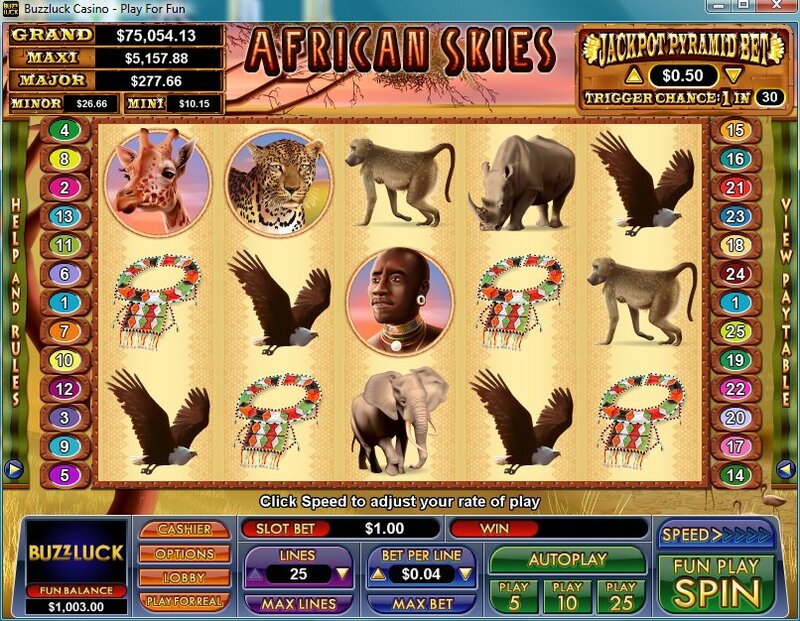 Similar Slots: If you like African Skies, you might like these other slot machines from NuWorks: Babushka, Big Rig, Camper's Cash, Cashed Up, Iron Duke, Magic Show.